After years of being hassled by iPhone owners, AT&T finally added official smartphone tethering support last summer -- albeit with a catch. Tethering was introduced as part of a new tiered bandwidth scheme that charged $15 a month for 200MB of data, $25 for 2GB, or $45 for 4GB with tethering. To purchase tethering, subscribers had to abandon their precious unlimited data plan, which costs only $30 a month. Naturally, heavy data users found that transition undesirable as it would require them to pay overages of $10/GB, so many simply acquired tethering support via unsanctioned means (i.e. jailbreaking and using apps such as MiWi). Privy to such activity, AT&T began issuing letters, emails and text messages to customers using their smartphones to tether without paying for the company's pricy tethering option. When those warnings surfaced earlier this year, it was reported that AT&T eventually issue a stern ultimatum to folks who tether via jailbreaking, and that's precisely what happened today. The carrier has announced that customers using jailbreak-derived tethering options now have three choices: you can stop tethering and keep your existing unlimited data plan, contact AT&T and purchased the required tethering plan, or simply continue your unapproved activity and AT&T will charge you for tethering anyway. Subscribers who violate AT&T's terms will be automatically downgraded from their old unlimited data plan to the new tethering plan. The company's announcement doesn't mention a specific date when this initiative will begin, but according one 9to5Mac reader, the transition will start one week from today on August 11. The reader's full comment is below. Considering AT&T already has unfavorable customer satisfaction ratings (sitting behind all other major US carriers), this won't earn it any new friends. 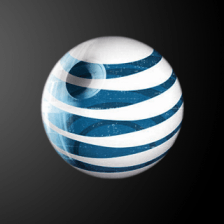 I was just informed that as of Thursday August 11th 2011, if you use MyWi or any tethering on the phone or using the phone as a modem, AT&T will automatically change ur unlimited plan to a 2Gb tethering plan for 45 dollars without the customers consent. This is for those who received emails or texts about the use of tethering without an AT&T tethering plan.